Sir Finley Mrrglton, renowned gentle-murloc explorer, has been scouring the jungles and coastlines of Azeroth in search of mannered murlocs ready to take up the mantle of heroism and reject the savagery of their fishy-folk. You can aid his cause with a little help from your friends! While most murlocs are more likely to have visitors for lunch than they are to invite them over for tea, Morgl the Oracle has wisdom, wit, and the wherewithal to fight the good fight. His language skills aren’t quite up to Finley’s level, but his command of the elements is unmatched! He’s got the attitude, and he’s got the skills—now he just needs a little convincing! Show Morgl How It’s Done! Help recruit a friend for Finley by recruiting one of your own! Hearthstone is a grand adventure, but it’s even better when a friend joins the expedition! You can practice together in friendly matches, help each other with decks and strategies, knock out those spectator quests, and even hang out at Fireside Gatherings or watch Hearthstone streams together. 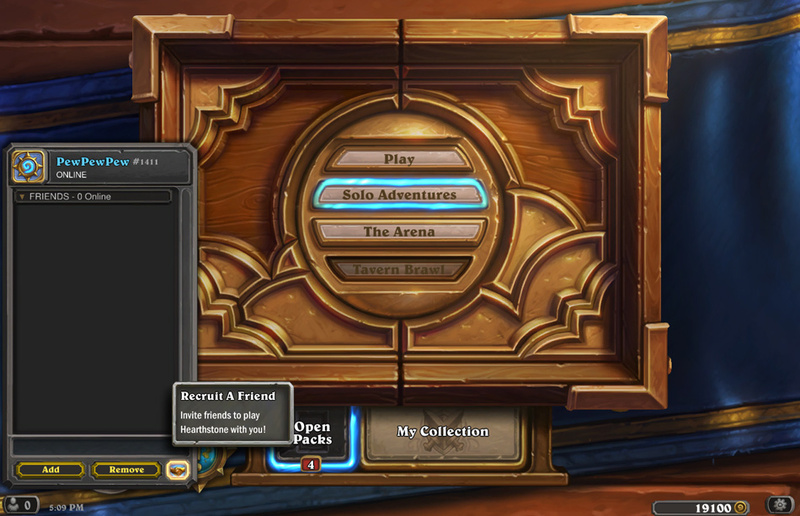 Just invite a friend to join you for some Hearthstone fun! After your first recruit has accumulated a total of 20 levels across all of their Heroes, Morgl will follow your friend’s example to join your collection as a new Shaman Hero. You’ll also receive a free Classic Hearthstone pack when your next four recruits reach the 20 level milestone. Also, ALL your recruits will receive a free Classic Hearthstone pack upon logging in to help them on their way! Recruit your friends today! Be sure to brush up on the rules and restrictions!